Publisher: Le Monde Moderne, 1928. First edition. 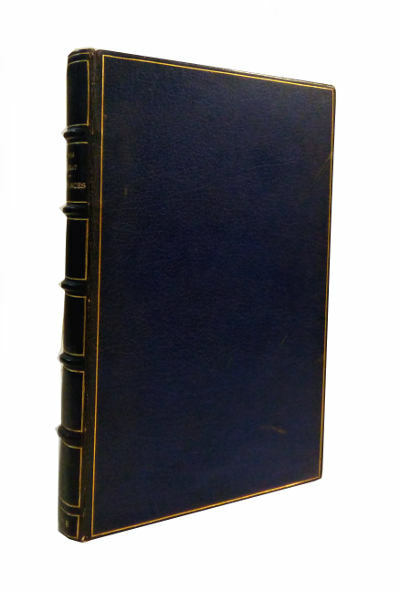 Condition: Full leather, finely bound by Sangorski & Sutcliffe in Morocco with 5 raised bands to spine and gilt compartments, gilt to top edge. Very good. Slight foxing to text, tanned pages with rough edges. 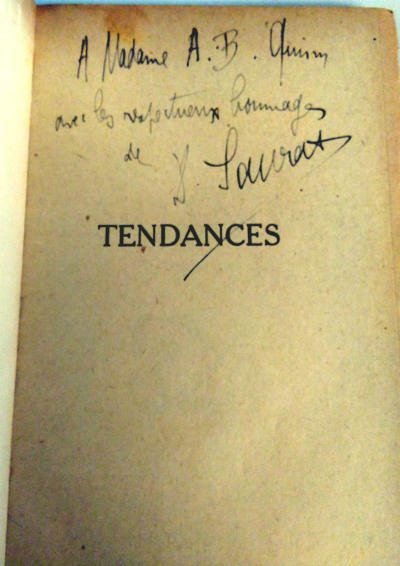 Inscribed by author on half title page. All text in French. He was born in Toulouse and died in Nice, France, but his most active years were spent in London, England. His views on the connection in the early modern period between the poetry of Edmund Spenser and John Milton and the occult, represented in particular by the Kabbalah, were ahead of their time: without surviving close scholarly analyses, they anticipated later studies such as those of Frances Yates. He also interpreted in light of Philosophical Poetry the Prophetic Books of William Blake and discussed Blake’s relationship to Milton and Celtic antiquarians. 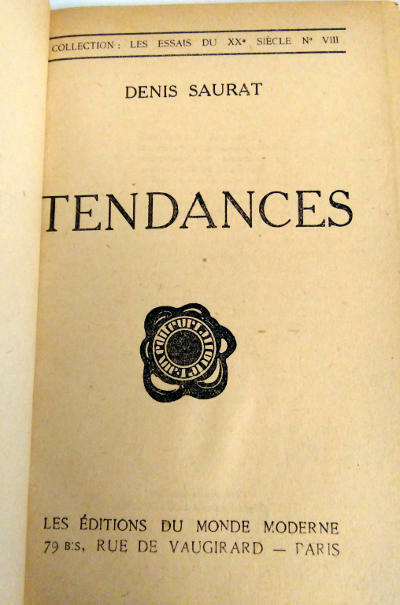 The term “Scottish Renaissance” was brought into critical prominence by Saurat in his article “Le Groupe de la Renaissance Écossaise”, which was published in the Revue Anglo-Américaine in April 1924. After receiving a doctorate of the University of Bordeaux, and a lauréat des concours d’agrégation in 1919, he became associated with the Department of French at King’s College London from 1920, where he was a professor from 1926. He was also director for many years of the French Institute of London (Institut Français) in South Kensington. During World War II his position there and his wish to maintain the autonomy of the Institut led him into a serious clash with Charles de Gaulle. This concerned not only the politics of the Free French, but also Saurat’s resistance to the General’s technocratic ambitions for the Institut. Under official pressure to move to Bristol, Saurat came through with support from Vere Ponsonby, 9th Earl of Bessborough. Instead, he resigned from the Institut, retired from the University,and settled in Nice. In his last years he took an active interest in PEN International, composed poems in Occitan, his mother tongue, and wrote best-selling books of speculative non-fiction on Atlantis and the early history of Earth.